It won’t surprise readers of this blog that we think telemedicine is an integral part of the future of healthcare here in the United States and across the globe. Our team is made up of a bunch of people who are huge advocates for using video visits as an option for primary and many types of specialty care. Out of curiosity, I asked my co-workers what got them so excited about telehealth. Everyone had something interesting to add, but there were definitely a few themes that emerged. In short, we love telemedicine because it benefits patients, healthcare providers, and the entire healthcare system as a whole. Here’s how. Convenience: Joining a video chat with your healthcare provider is just easy. You can do it from anywhere and save yourself the time and energy it takes to go into the office. Cost Savings: Telemedicine visits are covered by many insurance plans, generally with the same co-pay as an in-office visit. So how do they help patients save money? By eliminating the costs associated with commuting. Gas, parking, and tolls are all non-issues with a video visit. Also, patients don’t have to use their limited paid time off to see the doctor. Access: Sometimes the best specialist for a given need isn’t located nearby. With telehealth, patients have access to more specialists and can find the right provider for their condition. No babysitter required: Parents are under enough stress without worrying about finding a sitter or bringing children into the office unnecessarily. These days a lot of people also are primary caregivers for older adults or people with disabilities. Video visits mean there’s no need to find alternative care arrangements. Reduced chance of exposure to illness: Where do sick people go? To the doctor. With a remote visit, you have no chance of picking up some new illness from another patient. Increased Revenue: Video visits don’t typically take as much of the provider’s time as in-person ones, so more visits can be scheduled each day. This offers the potential to have a real impact on the bottom line of the practice. More Flexibility: Many practices find that telemedicine allows them to think differently about how and when encounters occur. For example, some providers can easily offer weekend or evening appointments without the need for additional office staff or other overhead associated with being physically in the office. Some find that they can work from home part of the time and improve their work/life balance. Improved Patient Outcomes: Given all of the convenience of telemedicine for patients, they are more likely to follow through with provider instructions for follow-up. They stay connected and caught up with things like medication management and care for chronic conditions. All of this means better health outcomes. Fewer No-Shows and Last-Minute Cancellations: No-shows and cancellations eat into practice profitability. Patients are less likely to miss appointments when they don’t have to take time off work or commute into the office. Less Crowded Emergency Rooms: Telemedicine is an effective alternative for urgent care, giving experienced providers the opportunity to help a patient determine if an ER visit is really necessary. If not, they can be treated remotely or directed to an in-person clinic. Also, when people can easily manage their medications and chronic conditions, they are less likely to end up in the emergency room. Improved Options for Treating the Aging Population: The average age of Americans is steadily increasing with no slow down in sight. This means a population with more healthcare needs and more chronic conditions. Even if you don’t use telemedicine, it may help an elderly loved one stay in their home longer, avoid hospitalization, and enjoy a more independent retirement. Lower Healthcare Costs: The cost of care is spread among everyone in more direct ways or less. Anything that allows for quality care to be available at a lower price is good for anyone that pays taxes, buys insurance, or self-pays for health-related services. 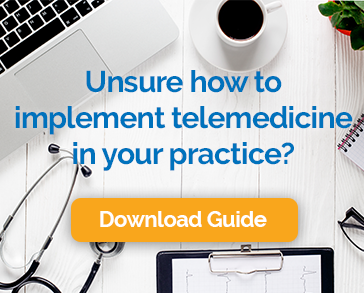 It isn’t every day that you come across a technology that is good for consumers, businesses, and the general public, but that’s precisely what telemedicine represents. We hope you love it as much as we do.